The socio-ecological production landscape identified as the target area for the Community Development and Knowledge Management for the Satoyama Initiative Project (COMDEKS) in Ghana is the Weto range. The Weto landscape forms the southern part of the Togo-Atakora Range. The average elevation of the Weto section of the Atakora Range is about 450 meters with very deep and relatively narrows valleys. Ghana’s highest point, Mount Afadjato, is located in this area. Measuring about 15,000 hectares, the delineated priority area is a landscape spanning over eleven traditional and three political administrative areas, namely South Dayi district assembly, and Hohoe and Ho municipalities in the Volta Region. The Weto range is a mountainous mosaic of diverse habitats and land uses including urban areas; farmlands with adjacent cocoa, oil palm, avocado and mango plantations; natural forests, grasslands, wetlands, and water bodies. The Volta Lake and Dayi River are two major aquatic resources being utilized for aquaculture and irrigation within the landscape. The landscape varies widely due to its unique adaptations to local climatic, geographic, cultural, and socio-economic conditions. The range is well-endowed with a diversified natural resource base in the form of high bio-diversity, hydrological systems, rich soils, stony features and conducive climate, all of which form a strong base for economic activities and sustainable development. Being part of the Guinea Forest of West Africa, the Weto Range has been identified by IUCN as an important biodiversity hotspot, as it contains “at least 1,500 species of vascular plants (> 0.5 percent of the world’s total) as endemics, and has lost at least 70 percent of its original habitat” (Conservation International, 2000). In addition to its rich endemic flora, the Weto landscape has rich wildlife, birds, bats, rodents, reptiles and monkeys, water buck and butterflies. The Weto Range is largely covered with deciduous forests, and the dominant vegetation type is savanna wood. At the northern limit of deciduous forest is a transition zone to dryer habitat known as the Antiaris-Chlorophora forest association. The range is highly heterogeneous in agricultural biodiversity and food systems. On the high slopes different tree species exist especially within the sacred sites. The Weto socio-economic ecological production landscape is made up of five traditional areas – Goviefe, Nyagbo, Avatime, Logba, and Leklebi in the Volta Region. The total population of the three districts is 580,588 people (2010 Population Census) with an annual growth rate of 1.9 percent. The major ethnic groups in the area are Ewes (90 percent). The rest includes Akans (6 percent) and Northerners (4 percent). On average about 20 percent of the population live below the national poverty line. The average annual per capita income is almost GH¢800 (US$400.00). People living in the area have adapted to their natural environment in various ways. Farming, hunting and petty trading are the main subsistence activities of these people. On average, about 20% of the population live below the poverty line. High local knowledge about agriculture biodiversity and traditional agro-forestry exists. Locally produced food form more than 70 percent of the local dishes eaten, however, there are emerging preferences for some foreign food which is gradually eroding the value of locally produced foods. Approximately 46 percent of all households in the area operate non-farm enterprises with women operating 72 percent of these businesses. Finally, there are over ninety caves of social and religious significance and 136 traditionally protected forests (sacred groves) with the significant groves being Kale, Weto, Tandze, Dienor, Hator, Obudiaye (monkey sanctuary). The Weto Range was jointly identified as the target landscape and geographical area for the COMDEKS project by traditional authorities in the eleven traditional areas, non-governmental organizations (NGOs) operating on the Weto Range, local people living on the landscape, and the three District Assemblies. The selection criteria for the landscape included: high biodiversity loss due to unsustainable farming practices, illegal logging and incessant annual bush fires increasing landslides and serious soil erosion along the slopes, huge public outcry on the state of degradation, potential for restoration based on the commitment of the community representatives, and the possibility of up-scaling the GEF/SGP intervention. 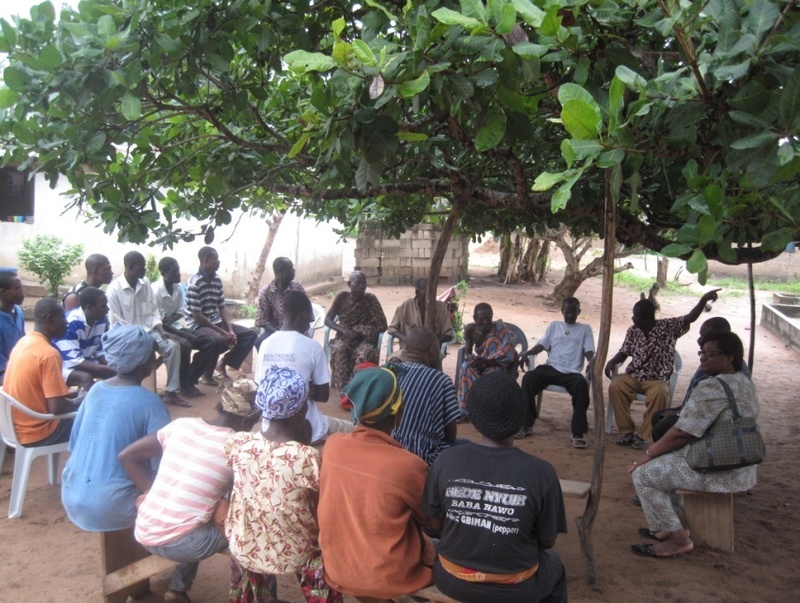 The selection of the Weto landscape was validated with the community leaders, landowing and traditional authorities through a series of community meetings spearheaded by a newly created Weto Platform, initiated by participating civil society groups to galvalize resources to support the implementation of the project. As part of the community consultation process, village level discussions and focus group discussions were organized with the 36 selected communities, with more than 1600 people involved in the overall process. Additionally, a one-day landscape-wide baseline assessment validation workshop took place in June 2012, in order to pilot a set of socio-ecological production landscape (SEPL) indicators (developed by the United Nations University-Institute of Advanced Studies along with Bioversity International) to help measure and understand the resilience of the target landscape. During the baseline assessment workshop, community resource mapping activities and a GIS map developed by the Centre for Remote Sensing and Geo-Information Services (CERGIS) at the University of Ghana were used to provoke discussions, identify community assets and assess the current situation of the range. Stakeholders were also asked to identify potential community based activities to manage the Weto range towards the goal of landscape resilience. Vision: A thriving socio-ecological production landscape where the local communities are actively involved in the sustainable management and utilization of the natural resources for increased production, the restoration of biodiversity, wealth creation and continuous flow of ecosystem services. 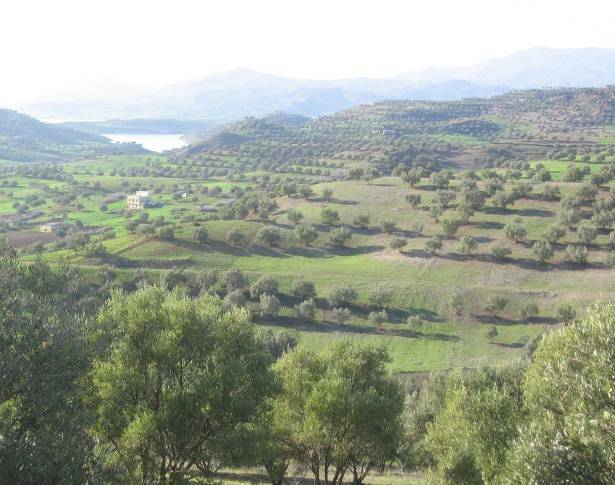 In order to promote sound socio-ecological production systems to conserve biodiversity, while meeting the socio economic needs of communities residing within the landscape, a participatory transformative strategy has been developed, as part of the baseline assessment process, to reflect local priorities negotiated among local stakeholders at the landscape level. The overall long-term objective of this strategy is to enhance socio-ecological production landscape resilience through community-based activities. d) Strengthening of institutional capacity at the landscape level to realize the goal of integrating conservation and production in the management of the target landscape. The COMDEKS project seeks to bring about community development, learning and knowledge sharing by making available small grants to community organizations to help them maintain and manage more resilient socio-ecological production landscapes. 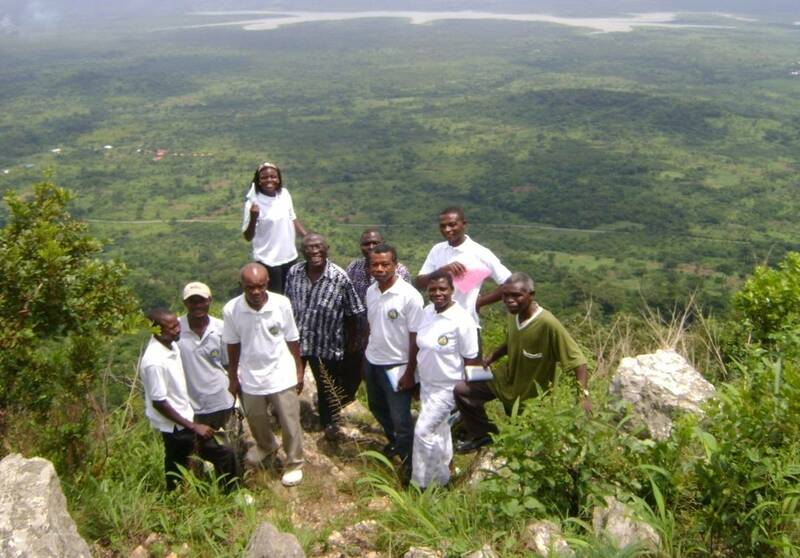 In order to enhance landscape connectivity and increase landscape resilience, the possible eligible projects in Ghana will include: forest restoration activities along the hillsides; reforestation of riparian forests, restoration and protection of wetlands and watersheds and related ecosystem services such as water flows and water quality through restoration of forest patches with both indigenous and exotic species, and soil and water retention infrastructure. COMDEKS Ghana will also support diversification of agricultural landscapes by introducing agro-forestry and management of trees on farms, diversification of production systems through the cultivation of a higher diversity of crops and varieties and crop-livestock-trees integration. New technologies like low-input agriculture, soil conservation, improved water management, and water efficiency (mulching, cover crops, rainwater harvesting, re-vegetation, intercropping, and crop rotation) will be introduced. All interventions should have livelihood enterprise development components based on the needs of the local people. New! COMDEKS Country Programme Landscape Strategy for Ghana can be downloaded here. COMDEKS Ghana April newsletter can be downloaded here. COMDEKS Ghana November newsletter can be downloaded here. Latest news – Communities in the Volta Region receive COMDEKS grants: read more here. For more information, contact George Ortsin (georgeO@unops.org), SGP-Ghana National Programme Coordinator. Existing agriculture practices along the Weto Range.